Rubbish Removal Service - Dump it Now! 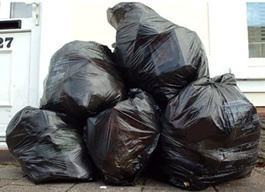 Do you have a large amount of rubbish or detritus to be collected and removed? Many of our potential customers may have concerns where items are disposed of. Clyde Carriers are Scottish Environment Protection Agency registered. As a company, one of our values is to only ethically dispose of goods, which we only do at local authority re-cycling centres. We are happy to provide documentary evidence of such disposal as we know this is a unique service. Clyde Carriers will collect and dispose of most types of rubbish. Just call us on 07957 673373 to arrange for a free no obligation quotation.